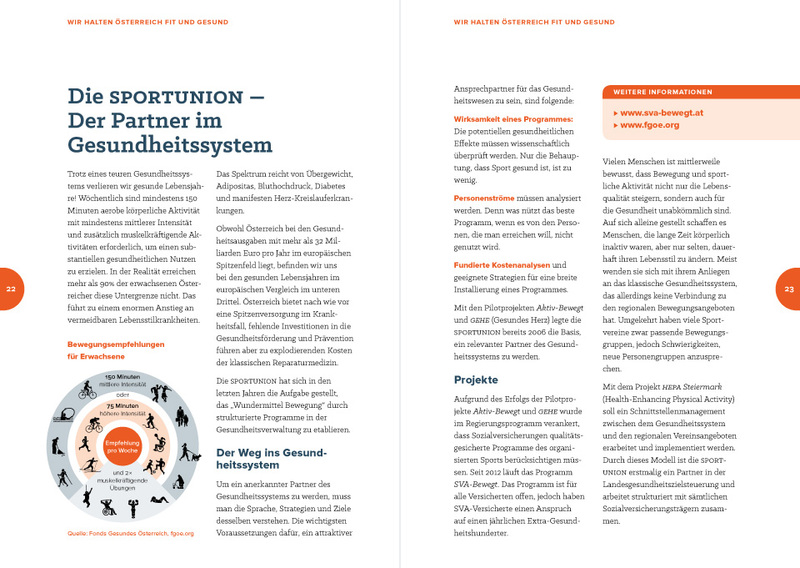 28-page brochure providing a general overview on the projects and activities of Sportunion Österreich, one of the three nationwide sport associations in Austria. 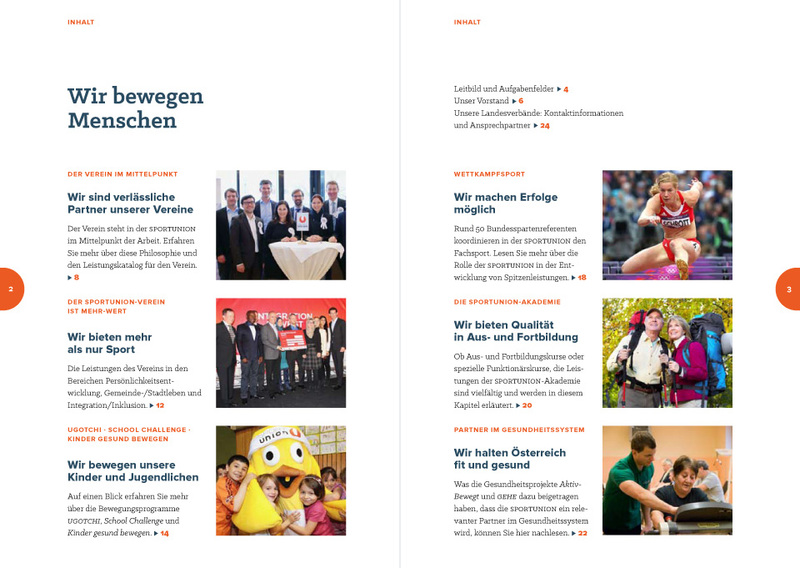 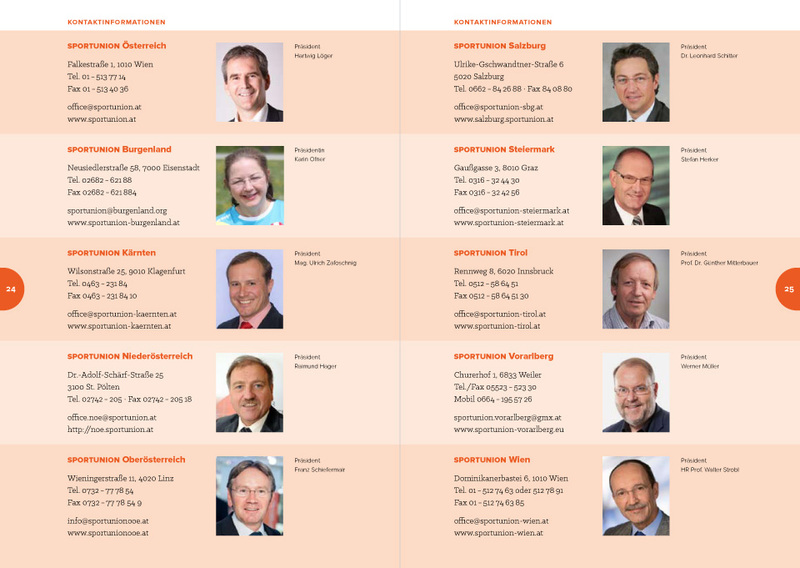 “Wir bewegen Menschen” translates to “We move people”. 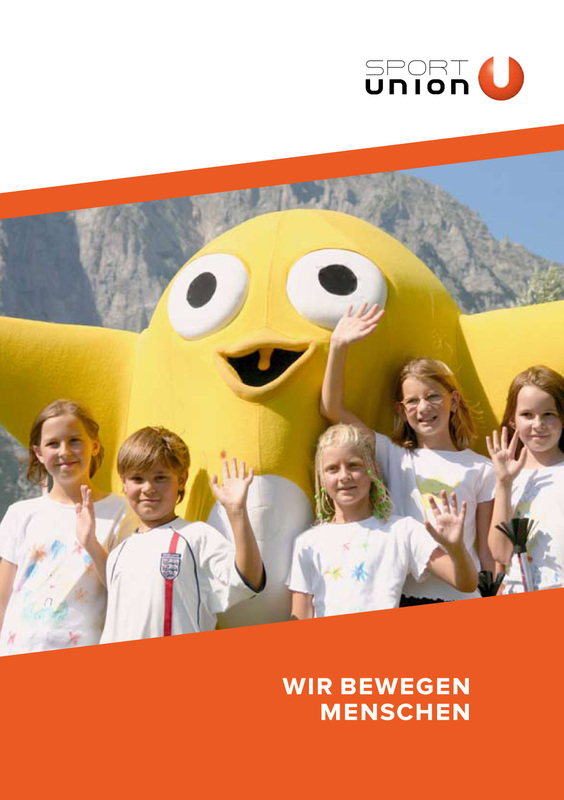 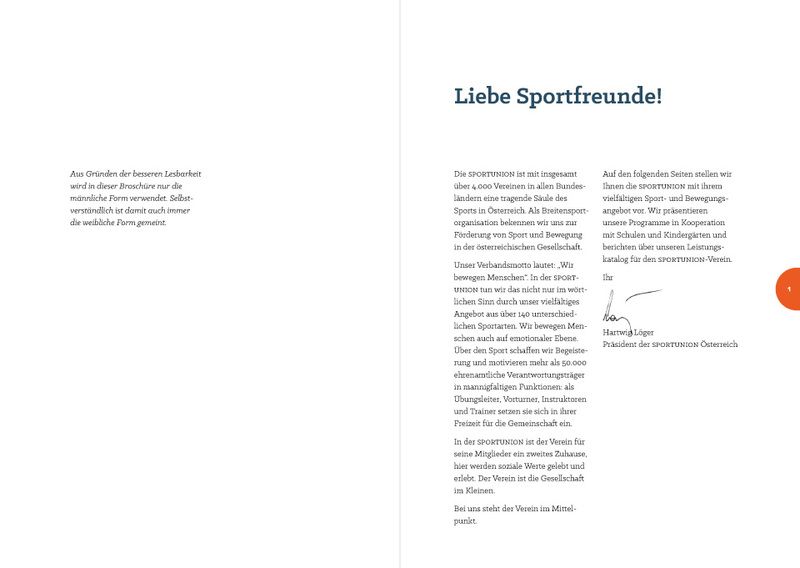 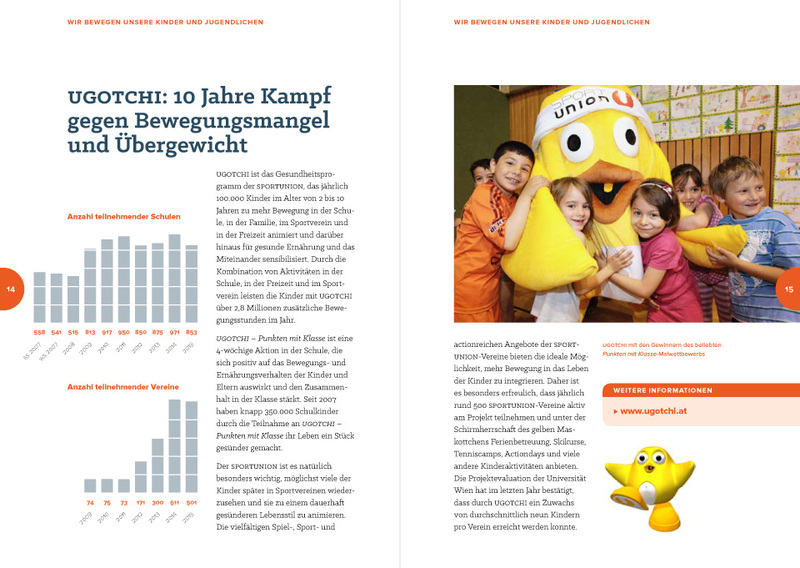 The cover photo is by Wolfgang Braunauer and shows the mascot of a Sportunion campaign on sports for children. 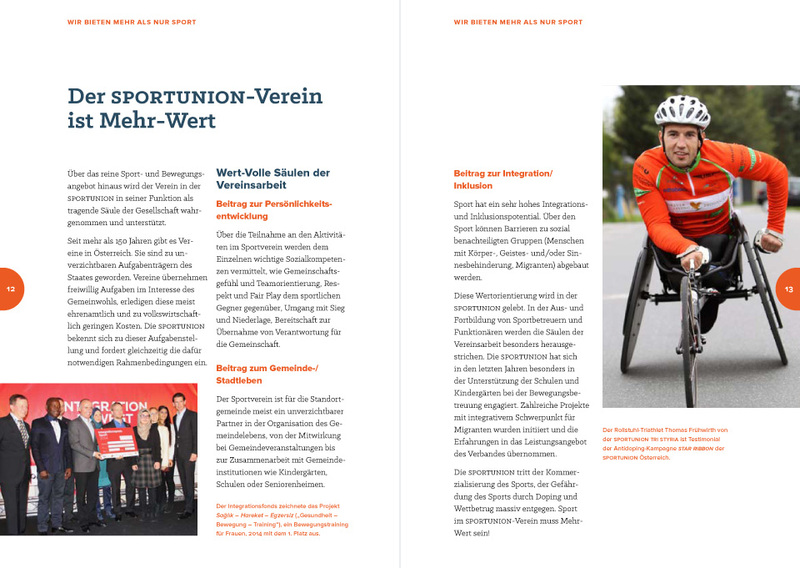 Published by Sportunion Österreich, 2015.